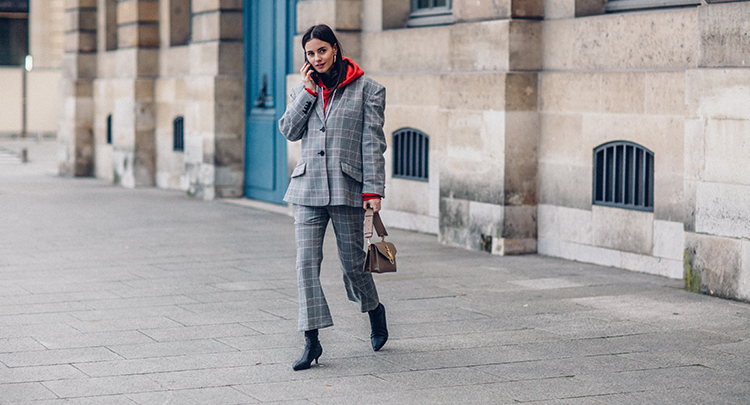 Today I´m showing you one of the looks I was wearing during Paris Fashion Week. 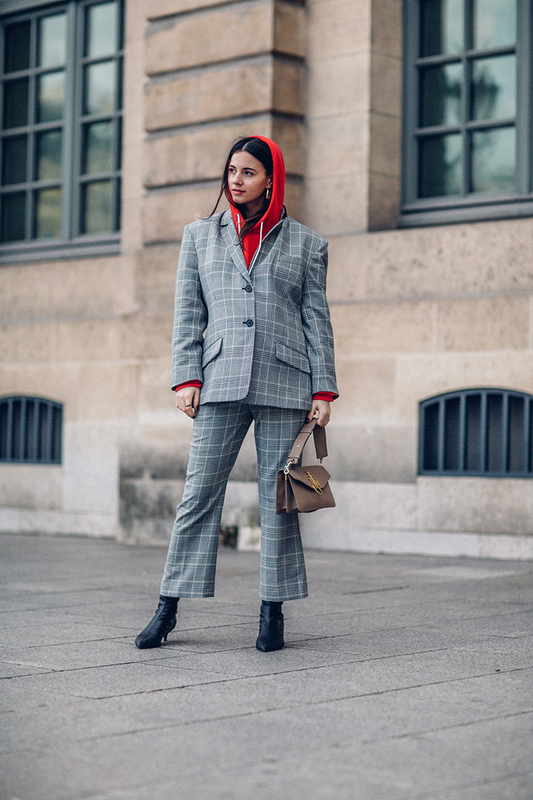 I love how this plaid suit fits and I would love to add a big lace-up belt but I obviously couldn´t. 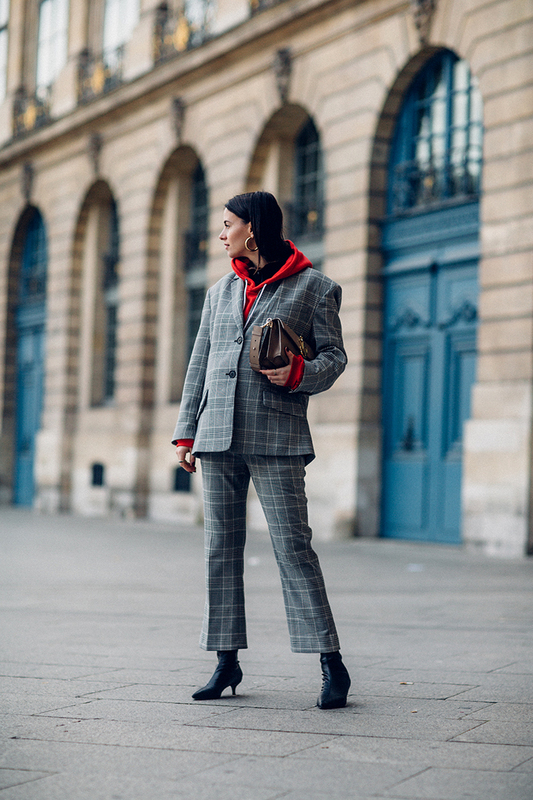 Just to add a little bit of twist I wore a red hoodie underneath, so I made the look a bit more playful and hip. I combined the outfit with black pointed leather boots, while holding my J.W. Anderson bag in beige. What do you think? Find the perfect "everyday rib dress"